Four Little Piglets had fun making & playing with Glowing Bubbles. Life with Moore Babies played with Bouncing Bubbles. No Twiddle Twaddle shared soothing Glittery Ball Sensory Bottles. Moms Have Questions too prepared some ice cube coloring mixing. 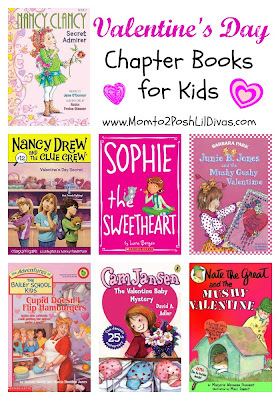 Science Sparks shared lots of fun Valentine's Day themed science ideas. Do you have a favorite Science activity? 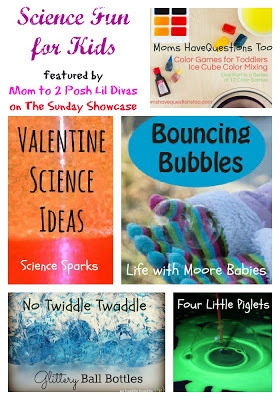 Thanks for hosting and for featuring our Bouncing Bubbles! Love your science experiment ideas! Thank you for hosting the link up! Thanks so much for featuring me, Bern! I love the Sunday Showcase!